您這邊颱風, 我這邊大寒, 這個地球, 真的是反常了, 天災不斷, 是人為? 是自然? 我們大家都有責任去想一想, 做一堅持, 多出一分力. Looks delicious, I like lemon grass flavoured dishes too! Thank you, Michelle. Happy New Year! Are you asking if this recipe is different from this one? They are two different dishes actually. May I know can I substitute the chicken stock with plain water? Thanks Christine for your quick reply. I will try the recipe by next week and let you know the outcome yeah. I have tried the recipe the other day, my husband and I like it. But I have few lil problems I faced during the cooking process. 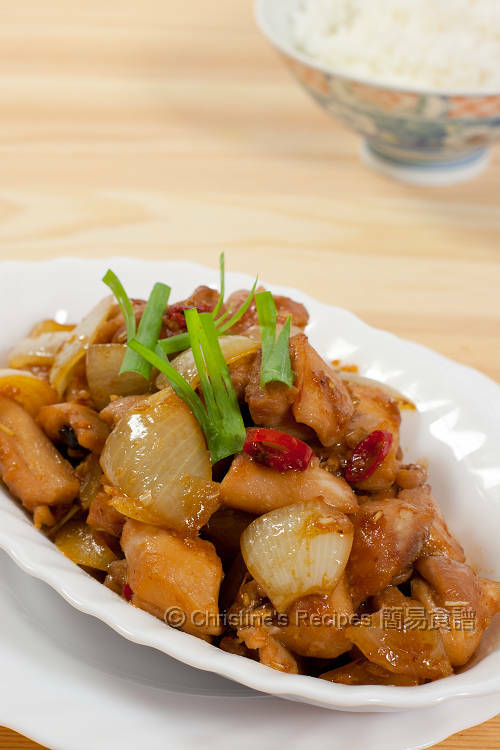 1) As for step3; when I slightly pan fried the chicken with other ingredients like lemongrass, shallots and etc, it seems like before the chicken skin turned yellowish, the ingredients were almost turned brown and sooner burnt. Therefore, I push the ingredients at one side while I pan fried the chicken, is that correct? 2) With 4 tbsp of chicken stock, my chicken is not fully cooked. Therefore I added almost till 6 to 7 tbsp of liquid to the chicken. As you know, the temperature of every stove and utensil used are very diferent, feel free to adjust whatever to suit your case. When it comes to cooking, we are looking for the best result of dishes, the recipe is a good starting point, and for reference. The temperature of your stove must be higher than mine, so the chicken stock was gone very quickly. Add more if needed to get the chicken cooked through is the point. You did it right. 我昨晚煮了這味菜, 很好味, 但賣相到底都不及你所做的, 看你的圖, 看不見有香茅碎, 唔知係唔係我用 Blender 打碎關係,成碟雞都蓋著那些香茅"蓉"
我想請問香茅只要白色部份, 你會用 Blender 打, 還是切碎, 香茅好硬, 感覺有點難切粒,(不像 garlic 般),請問用 Blender 打會唔會無咁好? 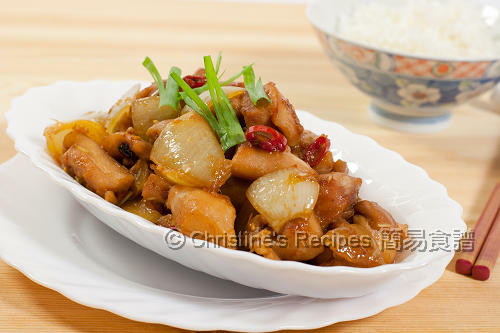 Christine, I just recently discovered your blog and have tried a few recipes and all of them have turned out great including this lemon grass chicken. I am a full time working mom with two young kids (3yrs old and 15 month-old), your recipes have helped me to get dinner ready on time and given so many great ideas. Thank you Christine!! Glad that you like my recipes. You might like to subscribe my blog, then you won't miss any updates.